"It's tough to miss the work of Chow Monstro, one of Buffalo's more recognizable street artists. 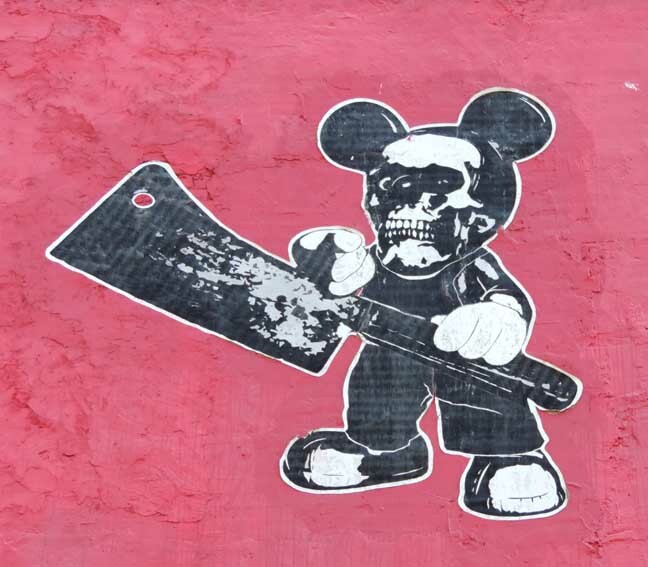 His trademark symbol – a skull with Mickey Mouse ears, often dripping black paint – has been popping up on buildings downtown and in Allentown for the past several years. Monstro's wheat-pastes and stickers can be found on gritty stretches of Allen Street, as well as on a wall that's slowly becoming a target for street artists on Exchange Street. 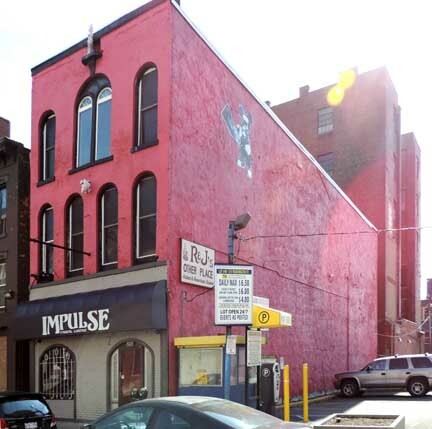 One particularly striking example is on the south side of the former Club Diablo at 517 Washington St."